POLICE are desperately trying to cover up the cause of death of a fourth-year student at the University of Zambia Great East Road Campus which occurred after police fired teargas canisters at students protesting against non-payment of meal allowances on Thursday night. And some parents with children lodging at the campus have started taking them away from the learning institution following Vespers Shimuzhila’s death from effects of teargas fumes in the early hours of Friday. A student spoken to early today said by the time police officers arrived at the institution, students had already called off the riot and returned to their rooms. “When they came to the school thy just started throwing teargas in our rooms. It was a painful night, we really swallowed the smoke,” lamented the student who sought anonymity. 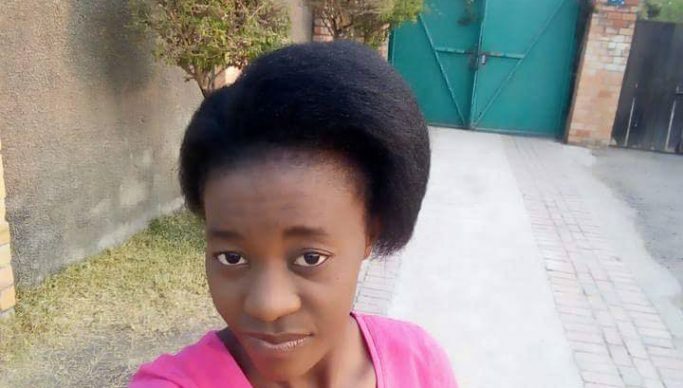 But police spokesperson Esther Katongo claimed that the suffocation of Shimuzhila to death was caused by a mysterious fire with an unknown source. However, eyewitnesses say the police’s version of the story was not true after realising the gravity of their actions against innocent students who were only demanding meal allowances that were overdue. Katongo in a statement claimed, “as officers were keeping vigil around the Campus, information was received that parts of October Hostel were on fire and that a fourth-year female student in the School of Education and another, who is a second-year student aged 20 years, had suffocated and were rushed to the clinic at the Campus and later to Levy Mwanawasa Hospital and unfortunately the fourth-year student died while the other student is still admitted. The cause of the fire is yet to be established”. She stated that students at the University of Zambia on Thursday at about 22:00 hours, staged a riot where they blocked the Great East Road and destroyed booths within the area. Katongo said a reinforcement of a Paramilitary Battalion was sought to restore order at about 01:00 hrs after Lusaka Division failed to quell the situation, which she described as volatile. “Police officers have continued patrolling the Campus and keeping vigil. The situation is currently normal,” she said. And a check by NewsdayZambia this morning found that the situation was far from being normal as classes have been cancelled and the university management and the three labour unions at the learning institution were locked in a crisis meeting at the Vice-Chancellor’s office. Some concerned citizens have started piling pressure on higher education minister Prof Nkandu Luo following Friday’s fatal incident at the institution.